Are you missing some of your teeth? This is a common dental issue, and fortunately, there are a number of restorative dentistry options that could help you with this problem. One of the most popular options is a dental bridge. However, are you sure you are a good candidate for a dental bridge? It is important to have an understanding of how bridges work as well. Why Choose Us for Dental Bridges? Bridges help to replace missing teeth in the mouth. They are used in cases where a person has one or more teeth missing in an area of the mouth that is between two healthy teeth. The healthy teeth will become the anchors for the bridge. 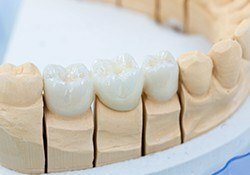 Therefore, one of the factors of being a good candidate for a dental bridge is having enough healthy teeth in the location to anchor the bridge. In order to be a good candidate for a dental bridge, the roots for these teeth need to be strong as well. Your New Lenox dentist will examine you to determine if a dental bridge is a good idea. 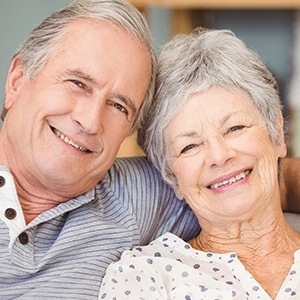 In some cases, they may feel that dental implants might be a better option, as least for some of the teeth. You can also utilize implants as anchors. Therefore, you could get implants in some of the areas where you are missing teeth, and once they have healed, you could receive a bridge. Your dentist can explain what options are best for you.